These insights will not only show you how we repeatedly deliver marketing success, but also help you improve your own marketing process. Don’t miss this post! I have a confession to make.… Repeatedly delivering marketing success isn’t based on strategy and tactics, it’s rooted in the delivery process. I can hear your gasps across the internet. So why don’t marketers and agencies focus more on process rather than strategies and tactics? To answer this question, I’m going to give you 12 golden nuggets. These insights will not only show you how we repeatedly deliver marketing success, but also help you improve your own marketing process. Earning a position at Uhuru isn’t easy. The gate is heavily guarded, and only those that have an inner voice calling out to them—that the work they do is made for them— make it through. Once they do, they thrive at Uhuru, and they continue to work hard to be great. Our never-ending journey for mastery debunks the myth of talent first (why marketing agencies are often labeled talent agencies) and shows you there are proven steps you can take to achieve mastery in the marketing and sales disciplines. Nobody said the path to marketing and sales mastery would be easy. Here are the first 6 nuggets we’ve used to dramatically impact our ability to deliver marketing success. Are you aware of the fact that you’re selling all the time? Not only do you blanket marketing and sales with sales messaging, but you also do it personally. When you’re asking someone on a date, trying to get team members on board for a work idea, or asking a friend for a favor, you’re selling. Rather than selling, change your purpose from wanting to get a “yes” to providing your prospects with so much value upfront (with zero obligation) that they leave the discussion amazed and having learned something. Educating a prospect isn’t a sales trick. You’re not “telling” them to do something. It’s about getting someone to acknowledge or understand a new perspective that may change their belief. To stand out against market factors like industry saturation or aggressive competitors, you need to find a perspective that makes your business unique. By presenting a client with a unique perspective about our agency and our competition we position Uhuru as invaluable so the opponent can’t win. Applying this to you, let’s say a customer or client comes to you talking about price. Since price isn’t the field you should be playing on, change the conversation to the arena where you know your company OUTSHINES the competition. Too often when it comes to marketing, people push ads or PR right away with decision-stage sales pitches and offers without knowing, and documenting, the exact buyer they’re targeting. Can you name 10 people (or positions in 10 companies) who you can reach out directly to sell your product or service? List as many target buyers as possible and define, in specific detail, what is the buying process they take to purchase what you offer. Once you have your list, you can figure out how best to reach them with the education-first mindset we discussed above. Even Chet Holmes famously stated that you need 8 rejections to get a meeting. With all this known failure on your path to success, you need to build systems to follow-up and nurture prospects and buyers to make sure people aren’t slipping through the cracks. On the journey to sales mastery, rejection is your travel companion and you need to have a plan on how to deal with it every day. For example, we know that follow-up is part of the day to day, so we schedule that time into the calendar and add operational systems to make this more efficient and automated. Remember I mentioned it wasn’t easy to join Uhuru? At Uhuru, we even leave all the applicants for our roles waiting for a reply to see who follows up! Yes, follow-up is that important. In tech, a hub is a common connection point for devices in a network. To become a hub, you’ll need to be that common connection point for your ideal buyers. When you invest your time and energy into becoming the hub—where you provide extremely useful information to your ideal buyer—they share and recruit new business for you. People who read your content are some of the best salespeople. For example, if your Facebook retargeting is “working” but isn’t optimal nor deployed with our high-level expectations and definitions of best practices, rather than hold this information as a secret we give it away in a 10,000-word step-by-step ungated guide: The Definitive Guide to Retargeting on Facebook. This is my favorite reason why we’re able to repeatedly deliver marketing success. This information is invaluable. The beauty is you can then go away and create this upfront value. When you know every buyer is potentially a buyer for life (aka customer lifetime value), you should provide them with as much upfront value as possible. Focus your efforts on a specific type of “ideal buyer,” so you can avoid freeloaders. What must you 10X in order to succeed in a fast-changing world? 10X thinking demands you rethink assumptions about what is possible. This topic is deserving of its own post, therefore, here are some of the outcomes from our 10X mindset that help us deliver marketing success. If you had to hire 50 people this week, could you do it? What about every week? If you had to generate 100 customers this month, could you do it? What about every month? A key component to massive growth is documentation. One method of documentation is the Standard Operating Procedure (SOP). It might seem like an “enterprise activity,” but it can be as simple as a shared Google Doc with a repeatable checklist of instructions. The goal with a standardized procedure (like a SOP) is to make behaviors repeatable as you grow. At Uhuru, we have Sales Playbooks with every detail anyone could ever need about our sales process. It’s an easy way to ramp up new sales hires quickly. It’s important to note that your SOP should always be evolving. As things change, update the SOP. Having marketing and sales procedures in place saves you time and energy (as well as money). Not sure how important checklists are? Read The Checklist Manifesto by Atul Gawande. At Uhuru, our ability to deliver predictable and repeatable results are heavily tied to the checklists included in our SOPs. For example, we have a checklist for our content production process. For every single blog post, our checklist covers every task we need to complete. Everyone involved knows exactly what needs to be done, who needs to do it, and when it needs to be done by. The checklist helps us move the blog post along quickly and understand exactly what needs to be done. Please note: This is a high-level summary and ours actually gets much more specific. Remember, we constantly update our checklist based on best practices and what works. If we learn a new tactic to help speed up the process or make it easier for the team, we’ll discuss it during our weekly retrospective and add it to the checklist for the next week. I’ve written about time tracking and our agile operating system in the past, which contribute to our ability to deliver marketing success, but it’s important to note some fundamental reasons that are often overlooked. Here are the final nuggets. We’ve all been guilty of opening emails and not replying, right? Well, this productivity killer is sucking the energy out of your day. You’re wasting energy “just checking email” by not even replying to it. The screenshot to the right is of email correspondences with only 3 people. My tracking software shows an insane amount of touches (their quick checks), a number that is (obviously) far higher than the actual number of replies. How much time do you think they wasted “checking” their email? Email is the obvious culprit, but this habit is in our text messages, scrolling Instagram, or seeing what new thing is in your Facebook feed. “Touch it once” is a mantra we try to live by every day. Again, this is one of the most fundamental principles of productivity and time management. Our team productivity and ability to apply greater concentration gives us an edge that makes delivering success so much easier. It’s like a muscle, and our team typically has more practice, and therefore it’s stronger than yours. Here’s our “Touch it Once” approach to the famous inbox zero process. Reactive people and teams aren’t typically able to deliver repeated marketing success. Proactive people and teams can. Based on our goal and documented plan to achieve it, we spend time each month, week, and day to make a checklist of everything we need to accomplish. Our list forces us to focus on the IMPORTANT tasks to move our clients’ marketing initiatives forward, instead of letting daily distractions take over. Uhuru rule: If it’s not on the calendar it doesn’t exist. Fundamentally we are one person, not split into a personal and professional version, and our personal lives often take a back seat to our work schedules. Therefore, calendars shouldn’t be only for meetings, rather, it should include important personal events, goals, and other to-dos. Putting these things into your calendar makes you less likely to overlook them. For example, if my day gets super busy and I don’t have time blocked out for a CrossFit workout, I’ll skip it. This type of reaction is typically our default. Although, when it’s on my calendar, I hold it to the same importance as a meeting with a client or team member. The One Calendar system aligns well with the agile process known as Scrum. Scrum makes sure our team is on the right track. Every Monday we sit down and look at our previous week’s calendar and goal progress in our retrospective meeting. We discuss how things went, and what we need to do next week to work toward our and our clients’ larger goals. By thinking about what you want to achieve each week, breaking it down into smaller chunks, and blocking time in your calendar for each task, you’re able to produce a greater volume and quality output for the week. I get it. Agendas sound like corporate or bureaucratic nonsense. However, we’ve all sat in meetings where people are unprepared, the conversation veers off track, and the items discussed are a waste of the team’s time. An agenda can be your saving grace. You might be wondering how an agenda is connected to delivering repeatable marketing success.… Well, it’s about streamlining conversations and wasting less time. Agendas are useful in a business setting—and in a personal setting, too. Keep it short. No, shorter than that. And use a timer to enforce the time limit. Uhuru’s basic agenda format allows our conversations to go much deeper, and our time together to be more productive. Today, I pulled back the curtain to share with you some of the reasons Uhuru can repeatedly deliver marketing success. We’re proactive about productivity and work hard to focus on the tasks that really impact our clients. 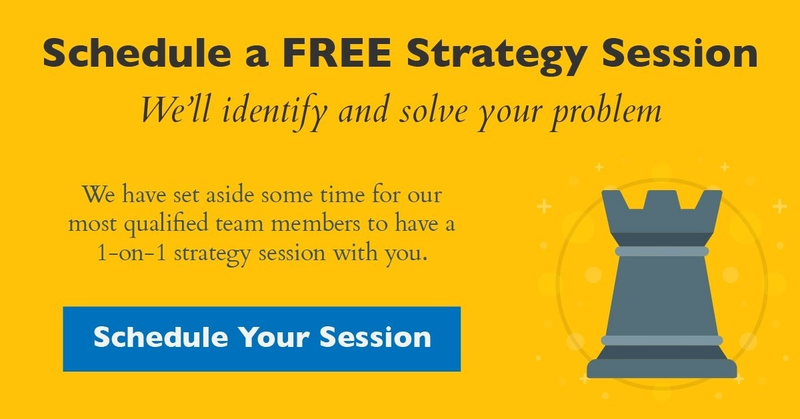 Thinking strategically by considering how to 10x your business. Sales is a brutal business, but know that failure is a huge stepping stone to success and put in place systems to catch as many of the known drop-offs. These 12 reasons have transformed all aspects of our agency and helped us to grow Uhuru and our clients. They could have the same impact for you, too.